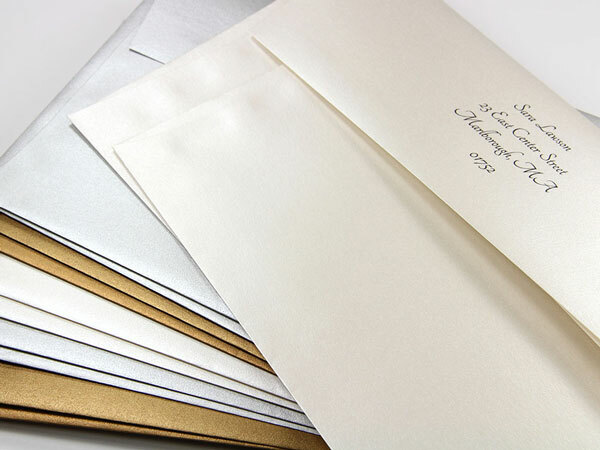 Traditionally, Double Wedding Envelopes are considered proper etiquette for mailing wedding invitations. Many people wonder what double envelopes are, and why they are used. 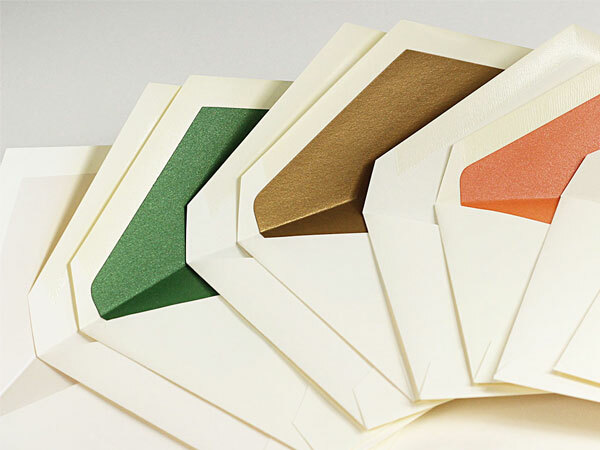 Simply, a double envelope set is made up of an inner and an outer envelope. The smaller envelope houses an invitation and response items and fits nicely inside of the slightly larger outer mailing envelope. 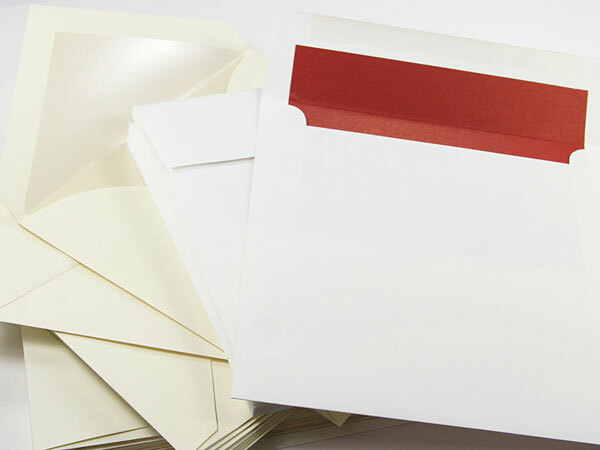 During the rigors of mailing, the outer mailing envelope may get marked up in its travels, but the inner envelope and the invitation inside will arrive pristine for guests viewing pleasure. 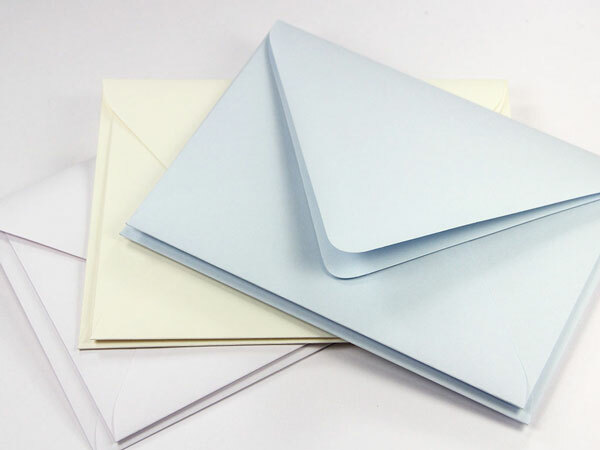 In this Radiant White envelope set the outer envelope is unlined and measures 6 3/4 x 6 3/4. 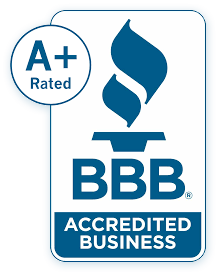 Inner envelope is lined with a Black liner paper and measures 6 1/2 x 6 1/2.